People have been expecting and predicting the end of the world as long as people have been walking the earth. We humans currently are terribly anxious due to the combination of the end of the second millennium on December 31, 1999, the advent of the Information Age, and the continuing advances of technology (especially those used for warfare and medicine). Climate change is real, and our terrain is in a constant state of flux. Is the end nigh? Only time will tell. 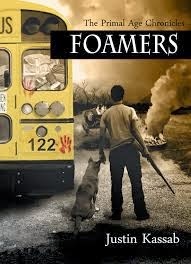 Novelist Justin Kassab, age twenty-six, manages to analyze, define and take control of the fear of the apocalypse in his extraordinary and impressive debut FOAMERS. This is the first in The Primal Age Chronicles series, a blend of science fiction, dystopian, adventure, and coming-of-age literature. Kassab has created characters in which the reader invests quite a lot emotionally. The book is most definitely a page-turner, and Kassab is masterful in determining when to accelerate the pace and when to rein it in. The taut plot keeps you on the edge of your seat throughout the entire novel. Set in the contemporary United States, a pandemic known as the Feline Flu has ravaged most the cities in the Northeast. People ages fourteen to thirty seem to have a natural resistance to the flu. A vaccine has just been released to the public, and ninety percent of the population has been inoculated. Studying all of this very carefully from Central Pennsylvania is a young man named Kade, age twenty-four. He has been schooled in personal disaster for most of his life. His mother died from Huntington’s disease (HD), a neurodegenerative genetic disorder that affects muscle coordination and leads to cognitive decline and psychiatric problems*, and then death. Kade, his twin brother Damian, and younger sister Ashton were all tested for the HD marker, but only Kade has it. Kade has been primary caretaker of his family, and did not pursue higher education after high school. Damian left after their mother died, excelled in school, and now is a doctor doing medical research. Their father died from the Feline Flu a year ago, and Kade has been taking care of seventeen-year-old Ashton. Living with this Sword of Damocles took Kade’s drive from him. What absorbs his time and intelligence is survivalism and disaster preparedness. He shares his passion and obsession with his close-knit circle of friends: Jem, Lucas, Mike, X, and Tiny (who is a young woman). Kade has a plan for catastrophe, and a place in mind to where he and his friends and family can retreat. One morning Kade finds a handwritten note from his twin Damian in his mailbox. Damian tells him that the Feline Flu vaccine is having disastrous effects on most of its recipients, either killing them or, for sixty percent, taking away their higher brain functions. This latter group becomes less than human, experiencing pure rage, and turning them into murderous cannibals who foam a red liquid from their mouths. Damian was the main medical researcher who developed the vaccine, and now he desperately is working to find a way to reverse its effects. With this, Kade and his group put the plan into action and head north to Houghton College in New York State. They will wait there for Damian. The conflicts which they expect are not not the conflicts which they find. There is conflict within the group, and Kade does not wear the mantle of leadership easily. As their journey, both physically and metaphorically, continue, this sundry bunch of people exhibit both the best and the worst of themselves. The biggest conflict of all is not the battle to survive, but the decision to abandon pre-pandemic “Old World” ways and embrace this new Primal Age. 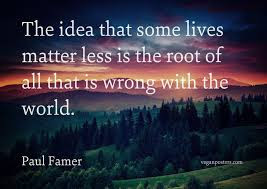 While the novel addresses serious themes of life and death, survival and living, romantic love, and friendship, FOAMERS is an incredibly enjoyable, rousing read. It has the engine of one of sports cars which Kade’s friend X is fond of stealing. Kassab, who began as a screenwriter, is able to make the action jump off the page, and allows the reader to feel the ride. He has an exciting career ahead of him, and this reader can scarcely wait for the second novel in The Primal Age Chronicles. This is a wonderful review and I love the societal context you put it in. Thanks!